A blog about : Mt. Everest, Everest History, Everest Firsts, famous climbers, expeditions on 8000m peaks, equipment, events on Himalaya. / Himalman’s Weblog to blog o wyprawie na dach świta o marzeniu .. o zdobywcach, himalaistach, wyprawach, trekkingu, podróżach na koniec świata..
Polish famous climbers – The golden decade of Polish Himalayan mountaineering. Sherpas to remove dead bodies, waste from Everest. Bielecki: Why I’m Going Back to Annapurna. ExWeb Interviews Alex Txikon on Winter K2 Expedition. Nepal to Remeasure the Height of Everest This Year. Himalaya Spring 2019: Teams Arriving in Base Camp. Nepali Supreme Court Officially Strikes Down Rules Banning Disabled Climbers. Karakoram Summer 2018: Snow Slows Progress Everywhere. Health, Fitness, Science and More. 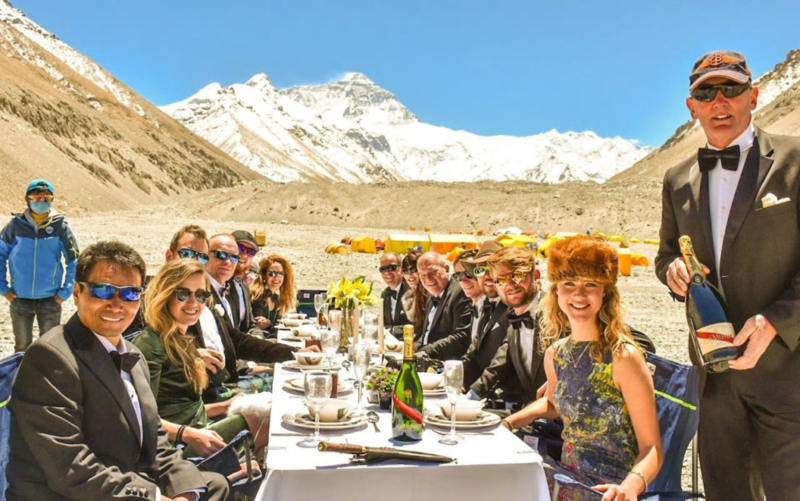 The Adventure of a Lifetime…..
the life and love of miss k.
The Spring 2018 Himalaya season has come to a close, and it has been one of the busiest ever. Here are the storylines that have defined the season: the conditions, the successes, and the tragedies. Spring is the best time of year to climb in the Himalaya, but this does not guarantee safety from avalanches, crevasses, rapid temperature drops, and high winds. This year, Everest and Lhotse were blessed with unusually stable weather. The jet stream, a band of very strong winds from 9-16km above sea level, hit the Himalaya on May 7. 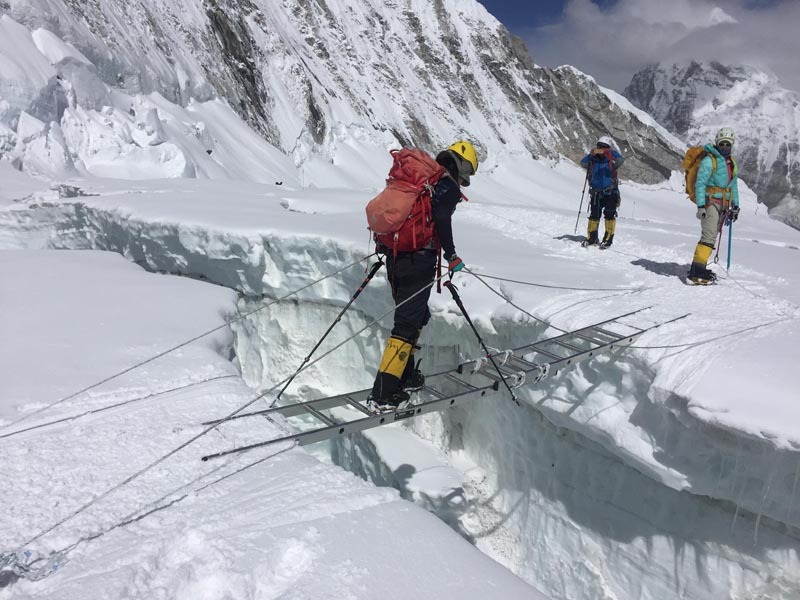 Everest expeditions were forced to wait at lower elevations, and the Icefall Doctors had to wait until May 10 to continue fixing ropes to the summit. Nevertheless, by May 14 they had completed the set lines on both the Nepalese and Tibetan sides of the mountain. From May 13 till May 24, the weather on Everest remainedrelatively calm, leading to a highly unusual 11 straight summit days, and likely a new record for Everest summits in one season. Teams elsewhere in the Himalaya were not so lucky. Expeditions on Dhaulagiri reported consistent snowfall around Base Camp and Camp 1, hampering progress and leading to a long wait for conditions to improve. Of the 26 climbers hoping to summit Dhaulagiri, not one succeeded. The most promising weather was predicted to begin on May 18, and a number of teams stationed themselves at Camp 3 for a summit push. However, strong winds battered the upper reaches of the mountain, forcing teams at Camp 3 to share tents and eventually turning everyone back. Kanchenjunga had not been scaled in three years, and while this year saw a sprinkling of successes, bad weather made the climb exceptionally difficult. The first summit pushes on Kanchenjunga began on May 15, with a handful of summits by those with supplemental oxygen on May 16. Those climbing without oxygen were halted by bitter cold and deep snow. At the start of April, we looked at 7 key expeditions. Carlos Soria returned to Dhaulagiri, a mountain that has proven his most consistent foil. Over the years, he had attempted to scale the peak eight times, without success. On April 22, the eternally fit 79-year-old began his ninth attempt. Soria spent weeks waiting at base camp for conditions to settle. Finally, favourable weather was forecast for May 17-18. But as in 2017, when he had to retreat just 100m from the summit, the mountain did not cooperate with Soria’s plans. Strong winds and abruptly deteriorating weather halted his team at Camp 3 and forced them to descend to base camp to minimize exposure. 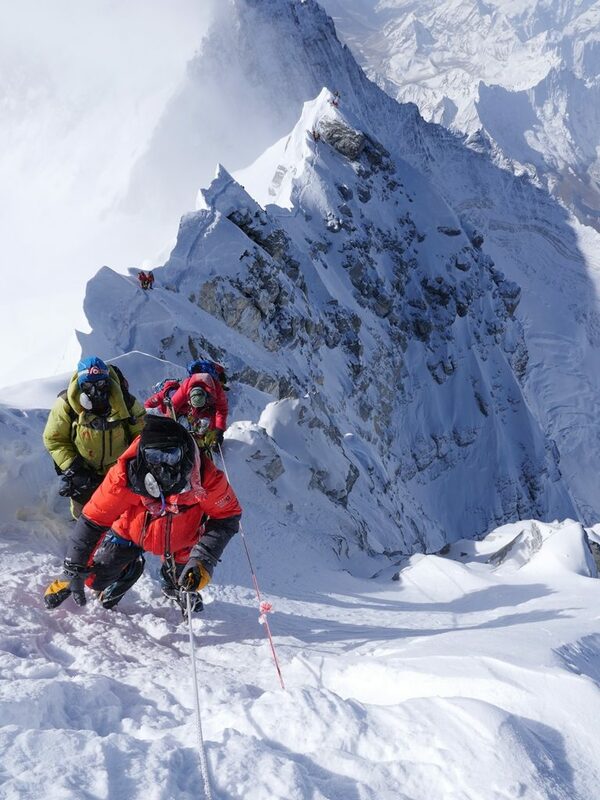 Two teams aimed for an Everest-Lhotse traverse. Romanian Horia Colibasanu and Slovak Peter Hamor tried to open an ambitious new traverse via the West Ridge, without bottled oxygen. 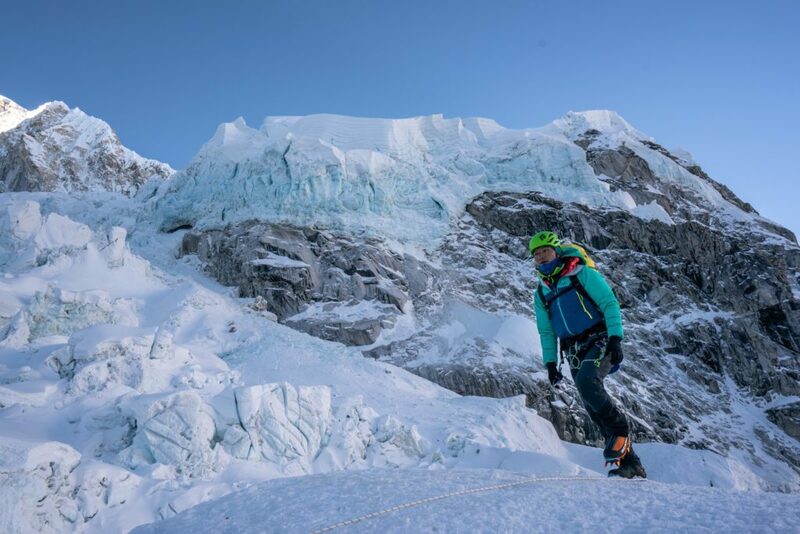 Tenji Sherpa planned to go via the South Col, in memory of his late climbing partner, Ueli Steck. Both traverses were ultimately unsuccessful. Tenji managed to summit Everest via the South Col route, but he elected not to attempt the traverse to Lhotse. Colibasanu and Hamor had to abandon their expedition on Everest because of deep snow along a couloir leading to the West Ridge. In an attempt to to bag Lhotse, Everest and Nuptse in a single season, Singaporean hedge-fund manager and ultra-marathon runner Leow Kah Shin hired a private team from Adventure Consultants, led by Guy Cotter. He and Cotter didn’t quite make the Triple Crown, but managed two out of three — a fair haul. They climbed Lhotse and Everest in just over 24 hours, beginning on May 16. Earlier, they had abandoned their Nuptse push due to high winds and heavy snow. In one of the most inspiring stories of the season, 70-year-old double amputee Xia Boyu managed to summit Everest, 43-years after his tragic first attempt. On that early expedition, the Chinese climber suffered severe frostbite, ultimately losing both his legs. Bulgarian climber Boyan Petrov planned to climb Shishapangma, then move on to Everest. 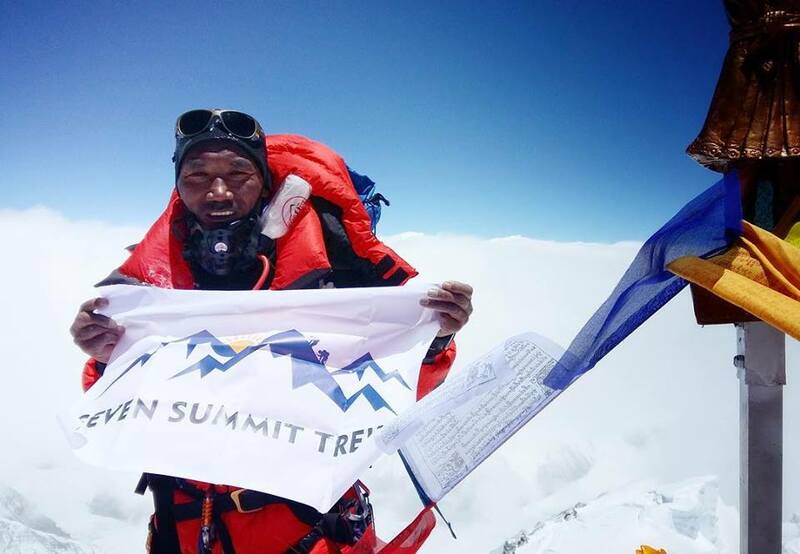 He set off for the summit of Shishapangma, alone and without supplemental oxygen, on April 29. It seems likely that Petrov made an attempt at the summit from Camp 3, where he was last seen via telescope from Base Camp on May 3. He then disappeared. Bad weather set in, and after a delay, the search team uncovered just a few traces of Petrov: his tent at Camp 3, and a few belongings, including a T-shirt, insulin medication and energy gels. 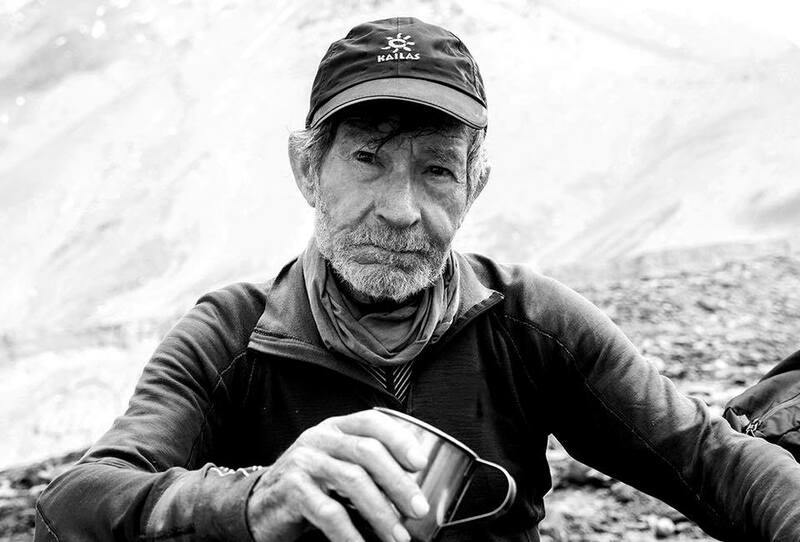 Kiril Petkov, a close friend of Petrov, was helping with the search and speculates that the climber may have fallen into a crevasse between Camp 3 and the summit. But unless more evidence turns up, we can’t know for sure what became of the experienced Bulgarian mountaineer. Kami Rita Sherpa made yet another trip to the top of the world, summiting Everest a record 22nd time. Meanwhile, 44-year-old Lhakpa Sherpa bested her own record for successful female ascents. Already the woman’s record holder with eight Everest summits, she reached her ninth on May 16 from the North Col on the Tibetan side of the mountain. The season started with an early fatality on Dhaulagiri. Italian alpinist Simone La Terra died at Camp 3 after his tent was blown away by strong winds. Fortunately, this early tragedy did not signal a trend. Fatalities remained fairly low, largely due to the calm weather on Everest. However, the volume of climbers has continued to rise, and inevitably there have been some deaths. Five have been reported on Everest for the season, one fewer than in 2017.Of those fatalities, three were Sherpa: Damai Sarki fell into a crevasse near Camp 2 on the Nepal side, Pasang Norbu died near to the summit after suffering a stroke, and Lam Babu died in unclear circumstances on the way down from the summit while supporting a cryptocurrency stunt. Two international climbers perished; Macedonian Gjeorgi Petkov from a heart attack on the Nepalese side, and the Japanese climber Nobukazu Kuriki, who was found dead in his tent while trying to descend from Camp 3. 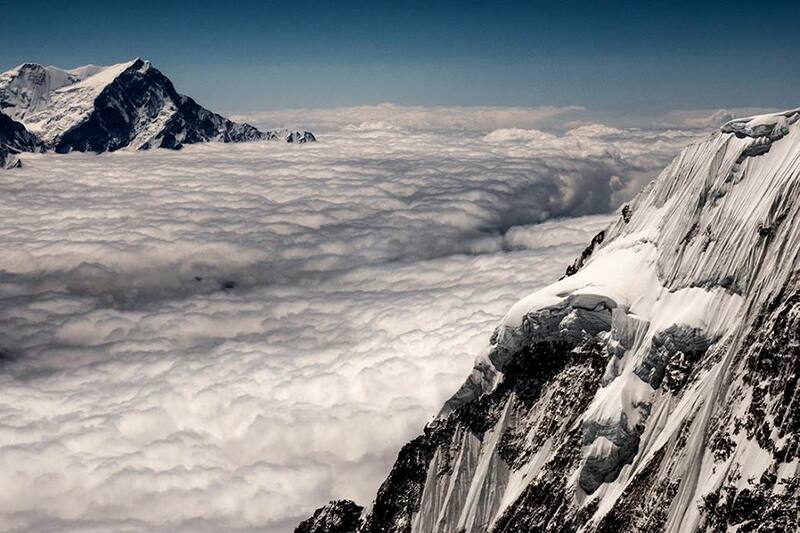 Lhotse and Shishapangma each recorded one death. On Lhotse, Russian climber Rustem Amirov died from acute altitude sickness near to the summit. 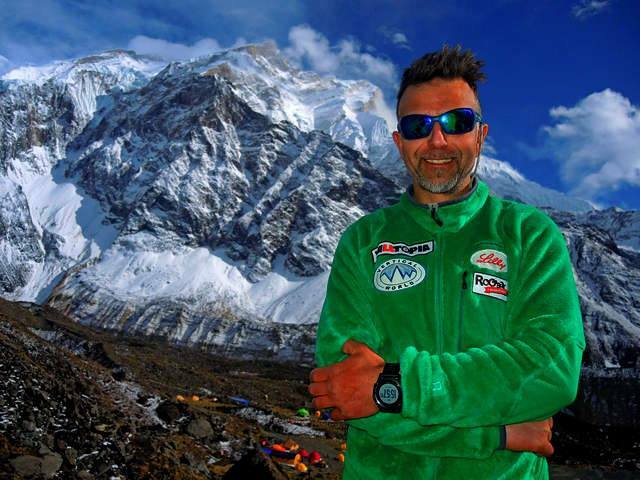 Experienced Bulgarian mountaineer Boyan Petrov disappeared on Shishapangma. His body has not been found. Exact statistics are still being compiled by the Himalayan Database, but this season will likely be the busiest ever. Everest saw at least 700 successful summits, substantially more than the current record of 665 set in 2013. Large commercial expeditions climbed on both the Nepalese and Tibetan sides of the mountain, with 11 straight fair-weather days allowing most clients to summit successfully. Along with the new records for male and female Everest ascents, we also witnessed a new Seven Summits time record. Australian Steve Plain topped Everest on May 14, successfully climbing the highest peak on each continent in just 117 days. ** see also: – Nepal Celebrates 65th Anniversary of First Ascent of Mt. Everest. – Today is 65th Anniversary of Everest’s First Ascent. Mountaineering is my hobby and profession of walking, hiking, trekking and climbing up mountains. It is also sometimes known as alpinism, particularly in Europe. Himalaya Fall 2009: Shisha Pangma special, part 2 - Central Summit, virtually there? Krzysztof Wielicki : Wyścig ze śmiercią - akcja ratunkowa na K2, Netia K2 Polish Winter Expedition (2003/2004). Spring Himalaya Update: Off We Go! Na Podhalu robi się cieplej! Link exchange 2 Barcelona Tourist Information: Hotels, Attractions & Travel Guide. Barcelona Tourist Information: Hotels, Attractions & Travel Guide.